This is a pair of two replacement Traxxas Talon 3.8" tires pre-mounted on chrome Gemini rims for the Traxxas Revo monster trucks. 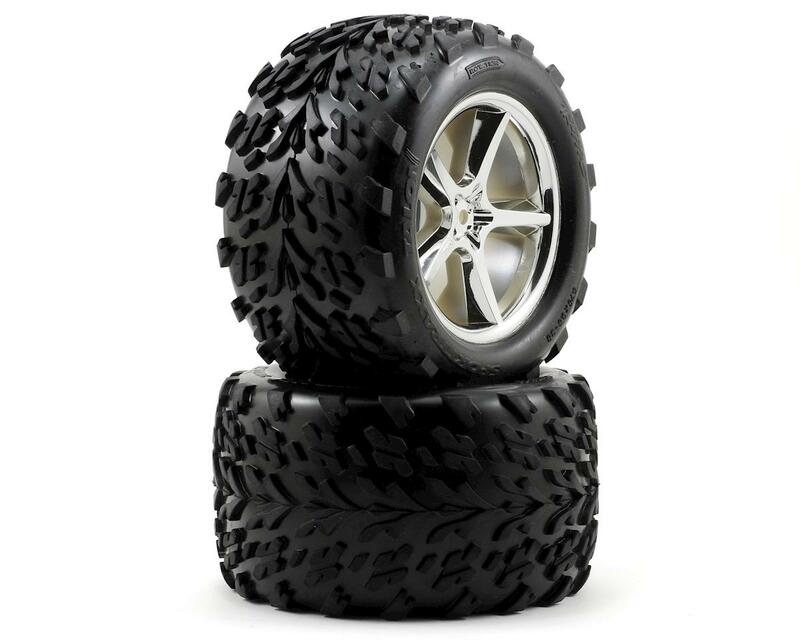 These are the same as the stock tires that come with the truck, and are great tires for bashing in the street and park. They are not particularly well suited to racing conditions, but they are a great general purpose tire. NOTE: These do not fit the Revo 3.3 truck.